The Can-can was a stage act that originated in Paris in the 1840's, at the more questionable entertainment establishments. It was a dance in which girls would swing up their skirts to show their ankles, petticoats, drawers, and stockings, offering quick glimpses designed to tease the typically male audience. A rare sight indeed, as showing anything above the ankle was taboo. By the 1870's this dance entertainment was gaining popularity at the more respectable establishments as well, and was quickly becoming socially acceptable, though still considered risque. Needless to say, as this was a seedier stage costume, there is very little source material for the early years. 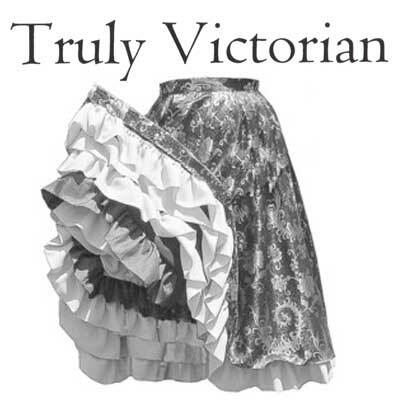 By the 1890's the skirt had taken on the circular shape and layered ruffles on the underside to give a flashy and elegant style to the dance. 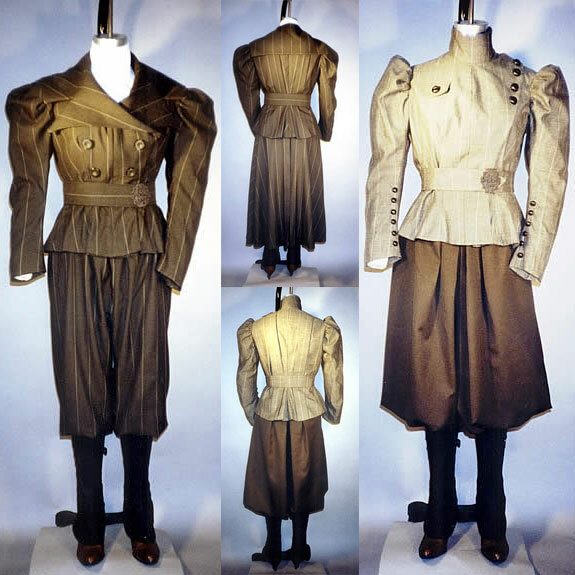 Historically, the skirt was worn with a regular bodice, high at the back of the neck, low at the bosom, and 3/4 length sleeve. 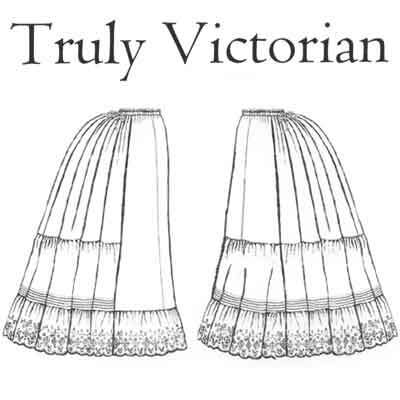 The ruffles on the underside were typically white, to simulate the layers of petticoats. 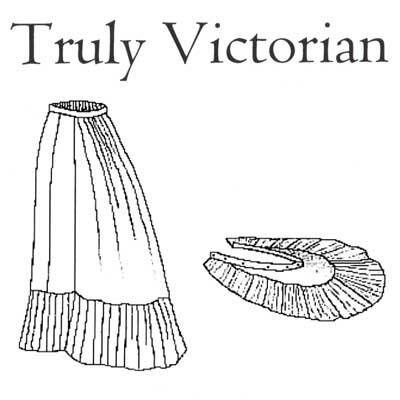 For modern interpretations, the skirt is often worn with a chemise and corset, or a ball gown bodice, and the ruffles are brightly colored. 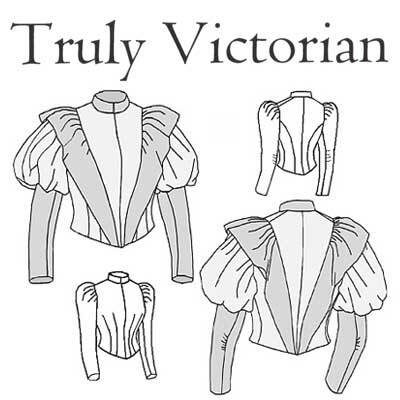 Truly Victorian patterns are printed on paper (not tissue) and come with full instructions. This pattern is multi-sized and contains sizes S - XXXL (51cm - 112cm waist).